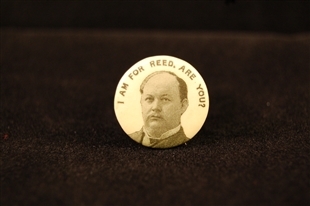 A set of campaign pins from the 1896 presidential campaign showed the favorite candidates of assorted state delegations, likely in advance of the Republican National Convention in St. Louis. 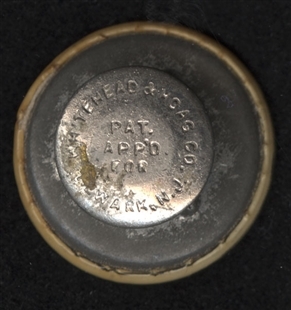 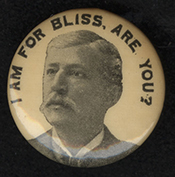 There is no evidence that Aaron Bliss had presidential aspirations, but nonetheless this button proclaimed the wearer’s support of a Bliss candidacy. During his earlier congressional service, he worked to bring federal buildings to his Michigan district.